Although we were still full from tea, we decided to have dinner at Lou Wong, reputed to serve one of the best Bean Sprouts Chicken Rice in Ipoh. 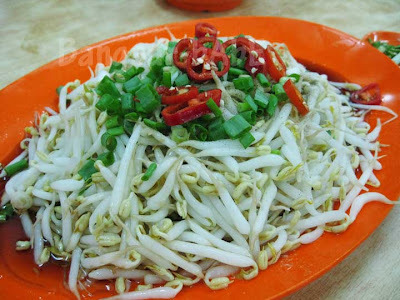 We ordered the poached chicken, bean sprouts, pork balls and Ipoh’s famous Sar Hor Fun (flat rice noodles). Our food arrived within five minutes. The chicken (RM34 for a whole bird) was cooked just right, resulting in a smooth, tender texture, and the bean sprouts (RM6) were plump and crunchy. Lou Wong’s pork balls (RM7.50) were springy, firm and flavourful. I considered ordering another bowl but decided against over-indulging. I thought the Sar Hor Fun (RM1.20 per bowl) was average. Slightly translucent with a smooth texture, the hor fun went well with the clear chicken broth. Dinner cost us about RM60 inclusive of drinks. While I found the chicken good, it is not something I would insist on eating when I’m in Ipoh. Probably because I not a fan of chicken rice. Verdict: One of the better steamed chicken and I’ve had. The pork balls were good! seriously? I myseld wouldnt go there for a meal. rushed meal with ppl waiting around you and the chicken sometimes very raw. expensive also, for noodles and chicken. BSG – I remembered J2Kfm blogged about a better place. But this is definitely better than any in KL. J2Kfm – I didn’t get the undercooked chicken, but I get what you mean by people waiting around you for your table! jenny – I tried that quite long ago. It’s ok for me, but still not as good as Lou Wong. smurfette – Hey, thanks for dropping by! Yes, I do eat a lot…but not all the time. I usually eat 2 meals a day, and dinner is often light. I avoid rice after 9pm, and I work out everyday without fail. Do drop by more often, I’ll post up halal food as well! 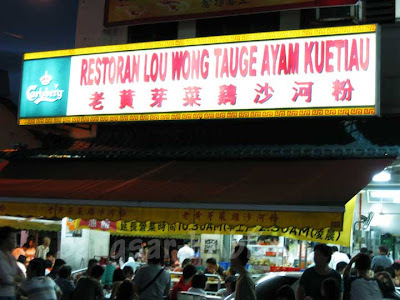 Lou Wong opened a branch in Aman Suria and then close shop after operated for 6 months if not mistaken. I patron them once and the chicken is not as good compared to their HQ in Ipoh. Hey, it was nice meeting you too! Close shop after 6 months? o_0 That bad business huh? Hi there, I was there during the porky session.. When Tim introduced u as u walked in, I thought ur 1 lifestyle blogger.. But after visiting ur website.. Gosh! Ur 1 serious foodie & yeah, like what the 1st Malay lady whom commented.. How come u didnt put on weights? Gosh! Envious! Anyway, it was my very 1st session joinin other bloggers for a fd tasting session.. It was really fun though I didnt get to know everybody.. I only had a chance to speak to Tim, Foodpoi (Whom I kept calling Fishpoi, duno why), Superwilson, tanengsoonmarcus.blogspot & tat's abt it.. I sorta stopped writing articles in buurps.com as my nature of work is very tiring.. & most of the time, when I arrived home, I just wanna play some games or watch some movies/series.. But with the porky session, it got me on fire again.. I think start posting soon, very soon..
Will definitely drop by ur blog frequently.. Cheers! Chicken rice is always one of my favourite food, haven’t visit Ipoh before, guess I should do since there’re so many good restaurants there. Sugar Bean – Yup, you should go try the food in Ipoh! Wesley @ noe4ting – Hi Wesley, it was nice meeting you too! Yeah.. That was what I suggested to Foodpoi.. 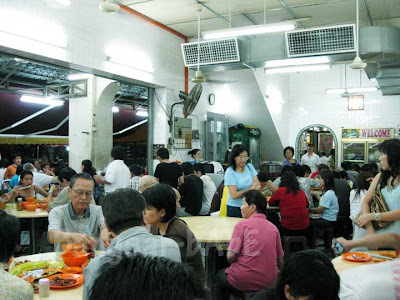 Gather the makan kakis & in fact, can get to try out more stuffs..
noe4ting – For good food, there’s always time! but recently found out that i have been putting on wieght. must watch out what i eat…. There are alternatives nearby and thank goodness hopefully cap the price and the pride. worldwindows – Don't know about the alternatives, but it's good to have choices! KOW and OLC – Hahaha…the bane of being a foodie! It’s either Lou Wong or Onn Kee. Kekeke. But I heard locals don’t go to either. That’s what I heard too! Must get a local to bring us around next time! !